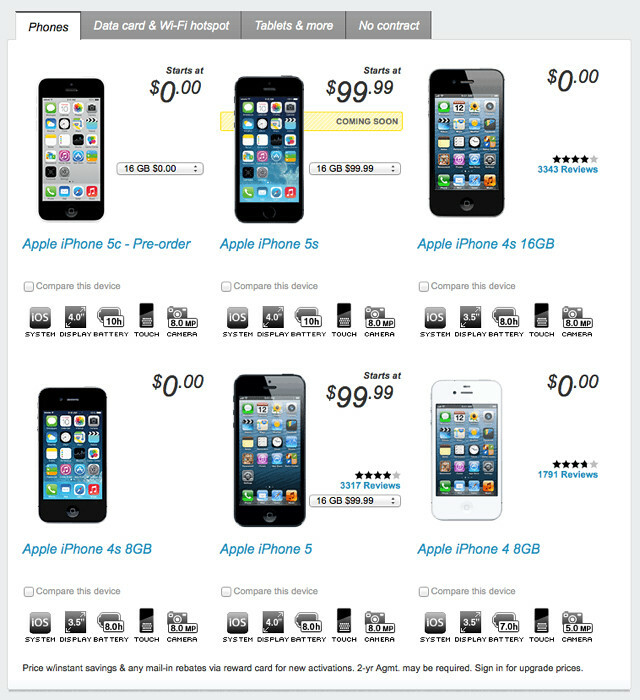 Sprint is offering customers that switch from another carrier $100 off the new iPhone 5s or iPhone 5c. Get up to $100 off any phone when you bring your number to Sprint. 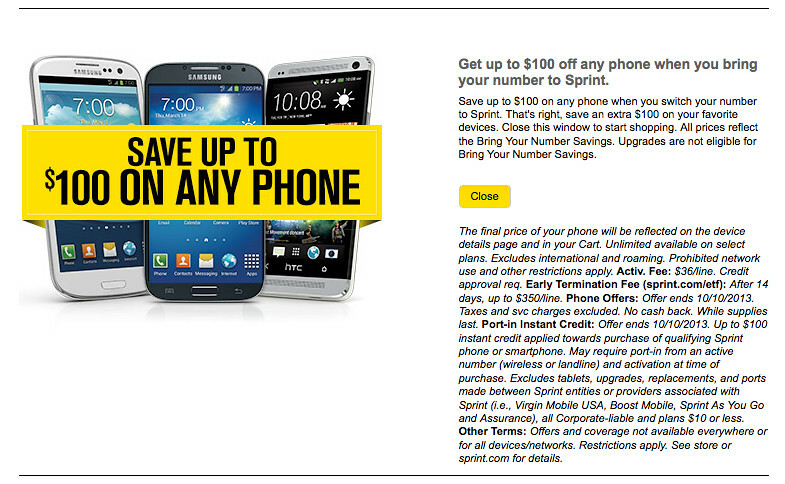 Save up to $100 on any phone when you switch your number to Sprint. That's right, save an extra $100 on your favorite devices. Close this window to start shopping. All prices reflect the Bring Your Number Savings. Upgrades are not eligible for Bring Your Number Savings. The company is also reportedly planning to launch a new 'One Up' early upgrade program on September 20th.